I’ve been working with CoMA as a workshop leader and tutor for the last 4 years, a strand of my activity I’ve found inspiring and refreshing. One of the things I’ve been working on is leading the CoMA Partsong Project, a developing collection of works for small groups of amateur vocalists by professional composers. Now there is a book, partsongs, comprising 12 pieces (including one of mine), published by CoMA in association with Edition Peters, with me as editor. My hope is that we can continue to commission and publish new experimental ‘partsongs’ (the link with the Edwardian parlour genre is a little tenuous…but sincere!) in the hope of providing a new and unique repertoire for vocalists of all abilities. There is so much potential here – the works in Volume 1 cross many boundaries, are inclusive and attractive but not condescending or compromising – and I really hope people will take them up. The composers are myself, Sylvia Lim, Stephen Chase, Kerry Andrew, Janet Oates, Christopher Fox, Catherine Kontz, Michael Finnissy, Michael Pisaro, James Saunders, Amber Priestley and Cassandra Miller, and the book can be purchased from CoMA, following this link. My contribution, a set of canons on William Blake’s The Ecchoing Green, may be heard here in a performance by CoMA Singers (with a cameo from the composer). Some exciting performances coming up this Autumn: firstly, Jack Sheen and his group An Assembly revive Saenredam, the first movement of Schilderkonst, for the first time since its premiere – that’s happening at the latest BBC Open Ear session at LSO St Luke’s on 30th September. Then I’m off to New York for the long-awaited premiere of Primo Libro, the 31-ET madrigal book I finished early in 2016. EXAUDI premiered a few movements in the Summer at Aldeburgh, which went down well, and I’m really excited to find out what Ekmeles make of the complete work – 7th October in New York. Finally, the amazing Canadian violinist Mira Benjamin will give the first and second performances of the hour-long piece we’ve been collaborating on, windfell, on 27th October in London and then on 6th November in Durham. More details of all performances here. This is a very special release for me, my first on the cult German label Winter & Winter and a recording of music that has come to feel very important to me. 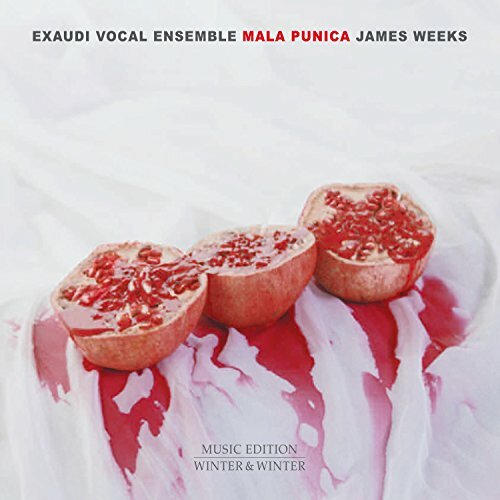 I started my vocal canon-cycle Mala punica in 2008 and EXAUDI recorded the whole set in 2009 in Orford Church during a residency at Aldeburgh. Then in 2015 I completed the three instrumental pieces of Walled Garden and returned to Orford to record those and overlay them with the vocal music. Thanks to the wizardry of engineers Dave Rowell and Adrian von Ripka it’s a seamless transition between the two and I’m very proud of the results. EXAUDI has lived with these pieces for years now and they’ve become old friends, but it was particularly thrilling to be able to unveil the full cycle with Walled Garden at Spitalfields in 2015. I hope we can do the whole thing again soon. EXAUDI turns 15 this year with a celebratory concert at Wigmore Hall, London on 1st April, featuring music by Sciarrino, Arcadelt, Monteverdi and me. My piece is a contribution to EXAUDI’s ongoing Italian Madrigal Book project and is a sequence of 12 very short madrigals using text’s from Arcadelt’s Primo Libro de’ Madrigali (1539). The title is Libro di fiammelle e ombre (‘Book of little flames and shadows’), exploring the ‘poetry of sound in the sound of poetry’ – the close union of text and music idealised by the early madrigal pioneers. 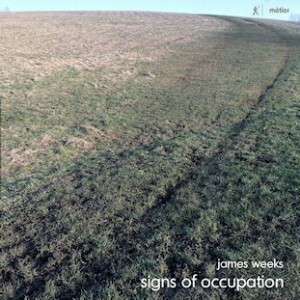 Really excited about this one: the culmination of two years of recordings of some of my recent instrumental music, including Looping Busker Music, Signs of Occupation, Digger, common ground and Three Trios. The performances are brilliant and Métier’s production is really smart. It’s released on 9th September. Over the last couple of years I’ve worked a lot with CoMA and written a number of pieces for participants on their summer schools and festivals: Olympic Frieze (2014), One for the Album (2014), Old English Apple Cultivars (2015) and Cornish String Music (2015). This year I made 100 tissue paper ‘butterflies’ for a pop-up Meadow at the excellent Festival of Contemporary Music for All in Kings Place in March, and for this year’s summer school in High Melton, Doncaster, I wrote another piece for the all-comers’ string group, ærc. I’m finding the CoMA ethos endlessly refreshing and inspiring and looking forward to more at next year’s Orkney summer school. I’ve spent a lot of time recently working on a weekend of events which I’m curating, celebrating the 70th birthday of Michael Finnissy. A joint promotion between EXAUDI and the Guildhall School of Music & Drama, generously supported by The Hinrichsen Foundation, Finnissy at 70 takes place on 12th and 13th March at the Guildhall, and features performances by EXAUDI, the Guildhall New Music Ensemble and pianist Jonathan Powell. There is also a Sunday morning Colloquium in which I will be talking on the subject of ‘Finnissy’s Voices’. All events are free and unticketed. Last year I was commissioned to write a piece for two violins and percussion for the Brundibár Arts Festival in Newcastle-upon-Tyne, a new project of violinist Alexandra Raikhlina centred on raising the profile of music written by musicians affected by the Holocaust. I have turned those heavy associations on their head and written a piece about the diametric opposite of such darkness, simply called Joy. It is premiered at the Hatton Gallery in Newcastle, home of Kurt Schwitters’ last work, the Lake District Merz Barn, on 2nd February. On 5th March a very different sort of work will be premiered at the CoMA Festival of Contemporary Music for All at Kings Place – a ‘pop-up installation’ called Meadow. It’s a continuation of my interest in creating dense, variegated fields of sound, static in outline but internally dynamic (for instance, my recent Walled Garden pieces or Cornish String Music), but here there is an extra challenge in that the participants will appear on the day with only 30 mins to teach them the piece, and I have no idea who will turn up, nor brandishing what instruments. I’ve promised bees and there will also be butterflies. More information about the day here. I’m very happy to see this safely into the world: EXAUDI’s 2014 recording of my modular piece ‘for one of more vocal quartets’, mural (2012-13). Thanks to the fantastic singers of EXAUDI, Dave Rowell our engineer, and in particular Mark Wastell for releasing it on his Confront label. 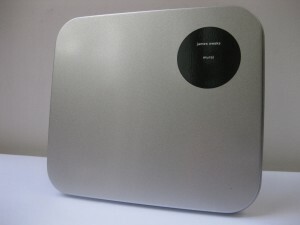 You can buy a copy very cheaply direct from Mark here. The CoMA Summer School has been one of the highlights of my calendar these last couple of years. This year I led a course investigating musical temporality, a course exploring works by Jürg Frey and Michael Pisaro, a course workshopping new experimental vocal chamber music for the CoMA Partsong Book (of which I am Artistic Director) and a course centred on a new work of mine for massed strings, Cornish String Music. Both that and my new ‘partsong’, Old English Apple Cultivars, were given first outings on 7th August. Walled Garden, for string and flute trios, was premiered at Spitalfields Music Summer Festival by the Hortus Ensemble, interleaved with the pieces from Mala punica sung by EXAUDI, on 3rd June. I was delighted by the fantastic performance, and the concert got some really good press, some of which can be seen here. I wrote this blog post for Sound and Music about the piece and its debt to the locus amoenus tradition.